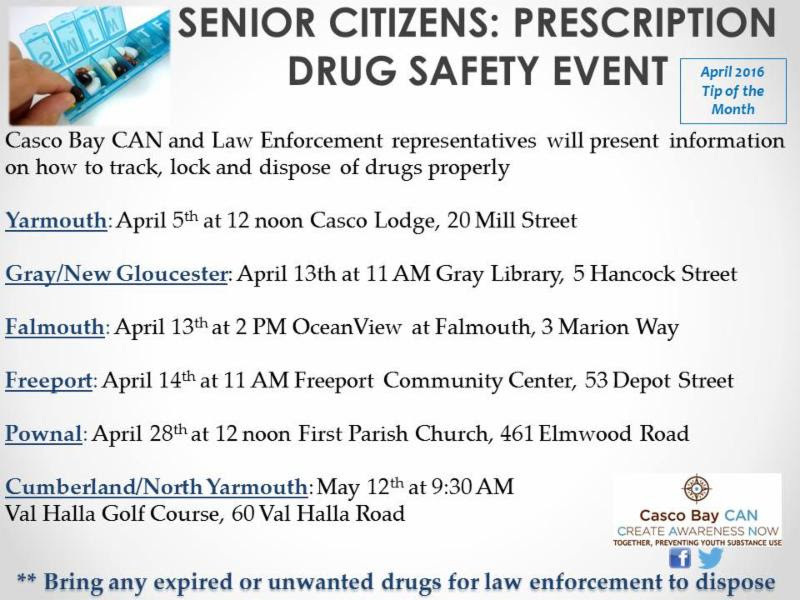 Community members not participating in the Senior Citizen Drug Safety events can attend the National Prescription Drug Take-Back Day on Saturday, April 30th from 10 a.m. - 2 p.m. Please bring your expired or unwanted prescription drugs, including pet medications. Please do not bring any liquids or needles. Contact your local law enforcement agency for more information.